BEAMS has created a whole washing list of labels, among which BEAMS BOY (ビームス ボーイ). 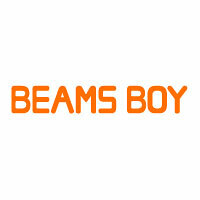 BEAMS BOY is casual and young, and in spite of the name, for women. BEAMS BOY was started in 1998 as a women’s fashion brand at the same time as BEAMS for men. The concept is Basic and Exciting. It consists of original and imported men’s fashion items that have been “scaled down”. There is an emphasis on manufacturing quality and authentic items from mens’ street fashion trends. This opened a new market that didn’t previously exist and allowed BEAMS to enter the Hong Kong market.